Home #ADDICTIVE StopBuggin’Me TD the next big Tower Defence game! StopBuggin’Me TD the next big Tower Defence game! StopBuggin’Me TD… I can tell what you’re thinking, just another tower defense game with the same old formula… nothing original. You are wrong. Here at the StopBuggin’Me team, we recognize that mobile games are moving away from the magic, happiness, and enjoyment of the old flash games and are moving more towards milking you for as much money as possible through IAPs, online gameplay, and constant ads. 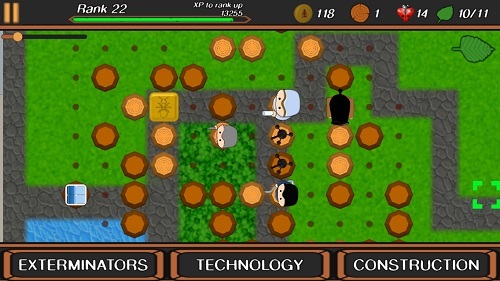 Today we present to you a unique, old-fashion Tower Defence game with no IAPs, no adverts, and lots of cool original features. 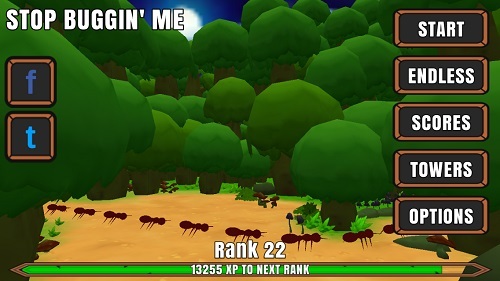 How is StopBuggin’Me TD different to other Tower Defence games? This is an important question and the answer is that we like to consider StopBuggin’Me TD to be an amalgamation of all the best bits of the classic Tower Defence games you know and love. Our team has examined all of the best-known classics and came to the conclusion that they all rise and fall in different places. 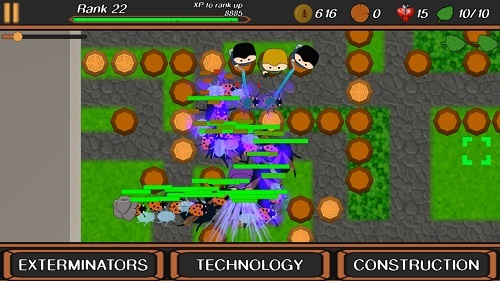 With the path building of Radiant Defence, the creativity of Bloons and the story of Kingdom Rush; StopBuggin’Me TD combines all these features and more to produce the ultimate tower defense game that will keep you playing for hours. Plus, only StopBuggin’Me lets you squash bugs! Why should I pay £0.99 for StopBuggin’Me TD? Your money is something that you no doubt consider very important and so we know that it is our job to convince you that StopBuggin’Me TD is worth every penny. With no IAPs or in-game adverts, StopBuggin’Me is 100% what it says on the tin. 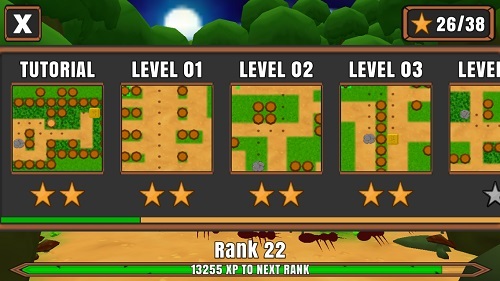 For your £0.99 you get 18 levels of gameplay, 28 towers to destroy bugs with, and even an endless mode once the story ends which lets you compete against your friends. After that, it gets even better. We are going to keep updating and developing StopBuggin’Me TD in the future for no extra cost. This means that your £0.99 will not only get the game as it is now, it will get you loads more content that will come in the future. (Sneak Peak: This includes a new tower we are developing called Boomerang Bruce, he’s very cool). We promise you that by buying our game we will be able to provide you with the Tower Defence experience you’ve always wanted. In my book that is worth £0.99. It also helps us survive and be able to afford sandwiches and coffee! Yes. We as developers have a sense of pride in our work and we would not release anything that we would not pay for ourselves if we saw it on the App Store. StopBuggin’Me TD puts everything you want all in one place and we would be honored if you gave it a try! This article was Published by Edamame Reviews, Written by the StopBuggin’Me TD Team.